An undisclosed injury has forced Michael Page to pull out of his welterweight bout against Andrew Osborne at Bellator 109. Along with announcing that Page is off the card, Bellator MMA confirmed to TheMMAReport.com that Osborne will not receive a new opponent and is also off the card. 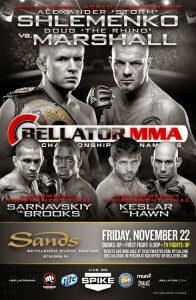 Bellator 109 will come from the Sands Casino Events Center in Bethlehem, Pennsylvania and will be headlined by Alexander Shlemenko defending the Bellator middleweight title against Doug Marshall. 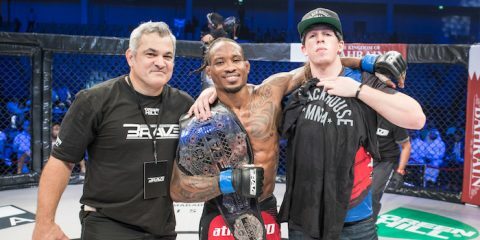 Page (5-0) made his Bellator debut earlier this year and defeated Ryan Sanders in ten seconds at Bellator 93. This is the second time in the ninth season of Bellator that Page has been pulled out of a fight card due to an injury, and it’s not known if the two injuries are linked. With the fight between Page and Osbourne being off the card, the event will go on with eleven fights. The current Bellator 109 fight card is below and stay tuned for updates on next Friday night’s card coming from the Sands Event Center.